Ben Huffman and Gavin Crum pitched a no-hitter in Central’s 5-0 win over East Ridge to open the 2018 season. Huffman (1-0) started the game for the Hawks and pitched three innings with eight strikeouts and only walking one batter. Crum took over on the hill in the top of the fourth inning and continued Central’s stellar pitching. He pitched two innings and had six strikeouts and with only one walk. Huffman and Crum combined for fourteen strikeouts and only two walks through five innings. Peyton Compton and Wes Williams each collected one hit to lead Pike Central. 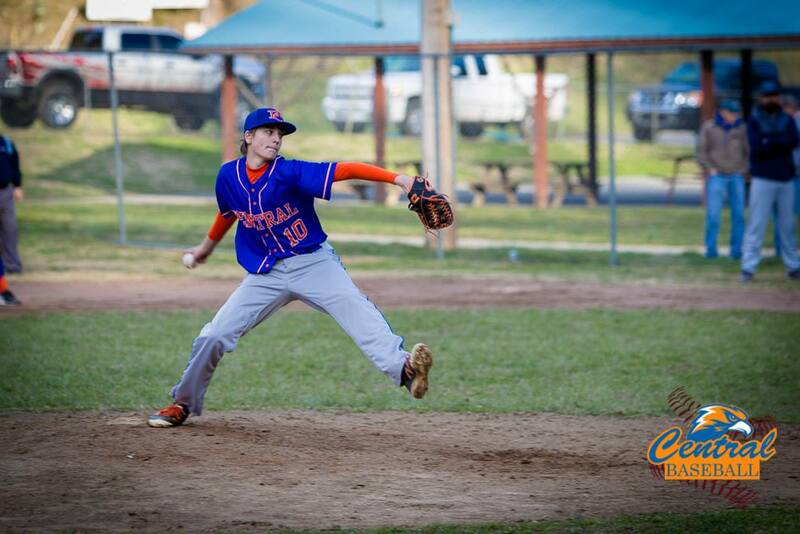 Pike Central’s JV team defeated East Ridge 7-1 to get the season started. Dalton Harris (1-0) picked up the win for the Hawks pitching 2 innings striking out five East Ridge batters. Brock Damron came on in relief and pitched one shutout inning with 3 strikeouts. Caleb Compton, Warren Newsome, Blake Adams and Trevor Holbrook each collected one hit for Central. Trevor Holbrook and Caleb Compton both had an RBI. Pike Central will be back in action Monday, March 19 at Johns Creek when they host the Phelps Hornets. First pitch is scheduled for 5:30 p.m.